Despite the impressive rhetoric of 155 cable channels and the great variety of Pay TV movie channels, during the prime-time TV hours 55% of the US audience prefers to watch their favorite TV fares, provided by the major networks, transmitted over-the air. Case in point: 95% of the major metropolitan area network stations operate on VHF, in the 54 to 216 MHz frequency range, and particularly on low-band in the 10 top TV markets. THE PROBLEM: Low-band reception is affected by electrical interference in the peripheral areas, caused by high voltage transmission lines and industrial activity. The interference can mar the picture quality, affecting every subscriber’s TV set, resulting in less than favorable comments about cable service or even worse, switching over to competition (DirectTV or Verizon fiber). BACKGROUND: Power line “Noise” is generated by discharges of the insulator surfaces, separating the transmission lines. The discharges are preceded by the corona effect, a partial insulation breakdown, resulting in steep current pulses, which, in turn, generate a high number of RF harmonics. These harmonics reach well into the VHF frequency range, their amplitudes decreasing at the higher frequencies. Interference peaks usually occur in the 50 to 90 MHz frequency range. 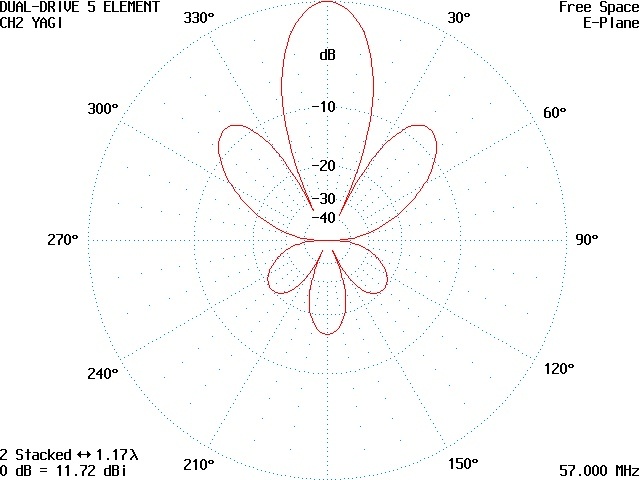 The resonant frequency is determined by the inductance and capacitance of the interference source as well as the connecting transmission line, which acts as a long wire antenna. What are a Cable TV engineer’s options to prevent (or eliminate) electrical interference? Antenna site selection, based soley on a computer run is not enough. Theoretical fieldstrength calculations are great engineering tools, but a computer cannot predict the presence and intensity of electrical interference. Preventive action: Conduct an on-site signal survey, to verify that the proposed site is free of electrical (AC) interference. Should the on-site signal survey detect even sporadic power-line interference, move the tower away from the vicinity of high voltage power lines. 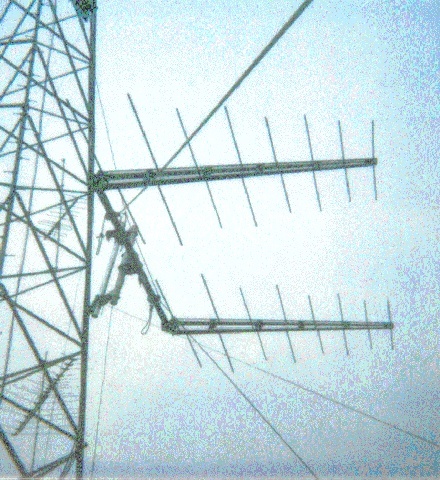 Low-band, Channel 2 through Channel 6, antennas should never look through power lines. Contact the power company and present a professionally prepared, well-documented survey report of the power-line ride-out, requesting their cooperation. Unfortunately, even total cooperation would not bring the desired results. Leaky insulators, corroded grounding connections can act up repeatedly, depending on inclement weather conditions. Can we expect the power company to “sweep” the offending high voltage line section every two or three months? You already know the answer. An alternate solution is the application of a custom tailored phased-array of horizontally stacked antennas, properly assembled and oriented. Provided, the on-site interference survey positively identified the direction of the interference, the radiation pattern null of the array can be moved accordingly. The catch: The interference direction identification is only the first step. It must be followed by the proper antenna-array design, the correct construction of the array, and a meticulously conducted antenna orientation. Caveat: There is no guarantee that existing high voltage transmission line conditions remain the same. Power companies are prone to transmission line “upgrades”. New “hot spot’ can develop along the line at any time, making the phased-array ineffective. 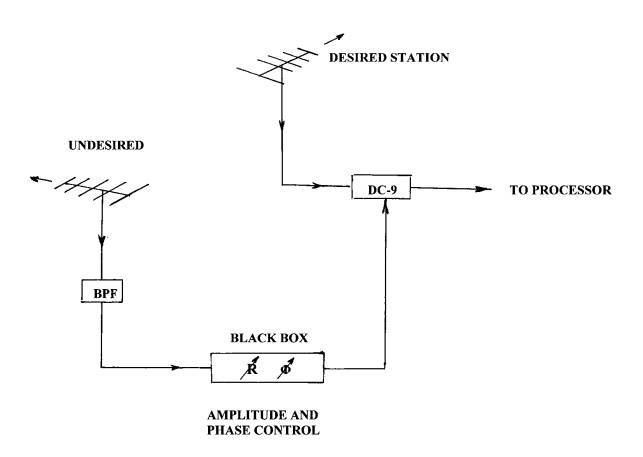 The application of a “Phase Cancellation Filter” (call it a black box), and a tower mounted “Bucking Antenna”. The block diagram below explains the phase cancellation principle. While laboratory samples produce 30 dB or even higher interference reduction numbers, under actual field conditions the results are less attractive. Namely, the bucking antenna picks up not only the undesired (interference) signals, but due to its limited radiation pattern also a significant portion of the desired picture, causing a reduction in the Carrier/Noise ratio of the desired picture. Caveat: Before purchasing the black box and associated gear, make sure that the equipment can be unconditionally returned if the field results are unsatisfactory. Install a” Digital Impulse Noise Reducer” which essentially removes the ignition type impulse noise from the analog TV picture. While the interference elimination is effective and spectacular, the supplier does not mention an important performance shortfall: lower picture resolution. The original 480 lines of the NTSC analog picture are reduced to 300 lines or less. Text or numbers became illegible. These days, when we make great efforts to promote High Definition TV, improving the picture quality by 720 or 1080 line resolution, does it make any sense to offer pictures with 300 line resolution? As of July 1, 2006 more than 1550 American HDTV transmitters were in operation. Practically every NTSC analog programs is duplicated in HDTV format. Thus, theoretically, every electrical interference infected low-band channel could be substituted by its HDTV affiliate, converting the digital signal to the proper 480 line NTSC analog format. In Silver Point, Tn. the reception of Channel 2, Nashville was affected by extremely heavy electrical (AC) interference, as shown by the photograph on the left. 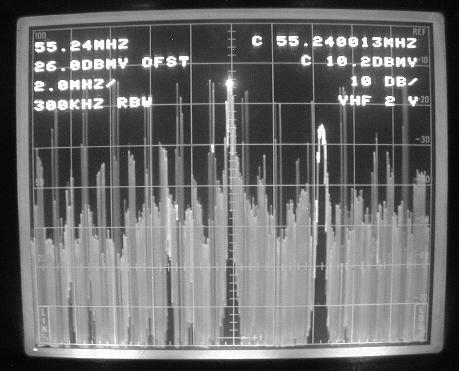 Observe the high level impulse noise within, as well as below the Channel 2 spectrum. Despite the fact that the received +10.2 dBmV video carrier produced a high Carrier/Noise ratio, the picture quality was unacceptable. The station’s HDTV affiliate, Channel 27, WKRN-DT, Nashville was in operation at the time of testing. 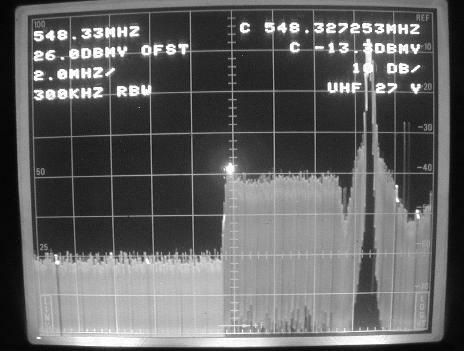 It was received by the UHF antenna producing a -13.3 dBmV amplitude, 5.5 MHz wide power spectrum, equivalent to a -1 dBmV analog signal level. The Channel 2/27 pictures were free of noise and absolutely free of electrical (AC) interference. Problems solved, subscriber’s satisfaction guaranteed. The only additional requirement for this type of conversion is the application of a moderately priced, commercially available HDTV receiver, such as the ZENITH Model 420 or the SAMSUNG Model SIR-T431, receiving HDTV from over-the-air broadcast, converting it into the standard NTSC analog format. Although the “Fifth Option”is the ideal approach, it has a non-technical handicap. Broadcasters, duplicating their analog program in HDTV format, have a tendency to lower electrical power and operation costs by reducing output power of the DTV transmitter, or cut service times claiming maintenance problems. An interference affected TV picture is still hundred times better than no picture at all. Keep your low-band antennas and signal processors in a standby mode, you may need a very fast switchover. THE AGONY: Antenna site selection, based on a computerized study, developed interference. Power company tries to fix transmission lines, but the interference returns. Phase cancellation filter and bucking antenna reduces the Carrier/Noise ratio of the desired. Digital impulse noise eliminator reduces picture resolution to 300 lines. Receive the HDTV affiliate of the analog TV station, deliver noise and interference free 480i line analog pictures.